India’s Supreme Court ruled on Wednesday that the country’s sweeping biometric database does not violate privacy rights. But the panel of five judges did decide to place restrictions on the program, according to the Times of India. Under the Aadhaar system, all citizens, residents, and visiting workers of India—an estimated 1.2 billion people—are virtually required to provide iris scans and fingerprints to the government so they can receive a unique 12-digit identity code. Since the system was created in 2009 as a voluntary means of hindering benefit fraud and streamlining welfare programs, Aadhaar has effectively become a requirement for anyone who wants access to major social services. As Aadhaar has grown more ubiquitous, many corporations have started demanding people’s Aadhaar data. Over the years, the program has proven to be flawed. A reported series of leaks left as many as 130 million at risk of fraud, and technical errors have prevented Indians from receiving welfare benefits. 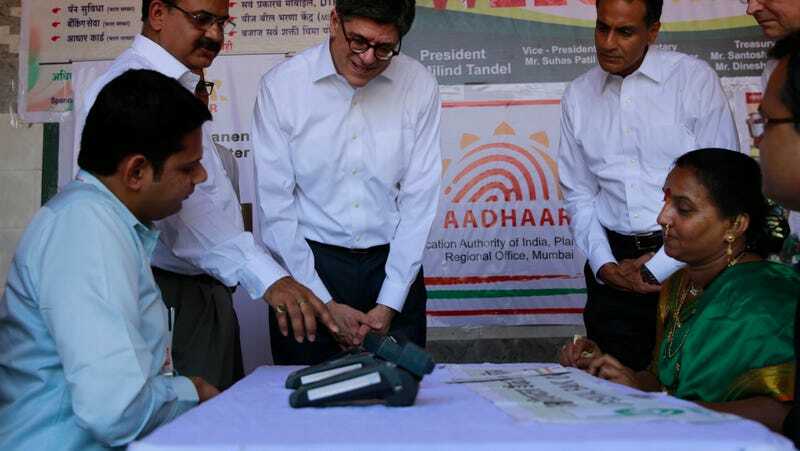 But proponents of the system argue that providing Indians with Aadhaar numbers grants them easier access to critical services without requiring them to fill out paperwork and go through processes that could hinder marginalized or rural citizens. The court’s majority opinion touched on this viewpoint, claiming that the system empowered disenfranchised Indians, including those with literacy issues, according to the New York Times. The court ruling provides new limits on how the information from the system can be used. The Indian government will still be able to ask for Aadhaar data for tax purposes. But now, corporations are not allowed to request Aadhaar data. Specifically, Aadhaar information won’t be required to open bank accounts, enroll children in classes, or request phone SIM cards. The panel also ruled that citizens can’t be denied welfare benefits if they don’t have an Aadhaar ID. The court has requested that the government enable stronger security measures and limit the time that personal data can be stored.